Fur trader, merchant, MP (1875-1878). 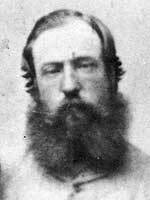 Born in South Ronaldsay, Orkney Islands on 31 October 1829, son of James Bannatyne and Eliza Ballenden (daughter of John Ballenden), he entered the service of the Hudson’s Bay Company (HBC) in 1846. He was stationed at Norway House for several years. According to Walter Traill, in 1851 he quit the HBC to marry Annie McDermot, daughter of Andrew McDermot, because junior clerks were not allowed to wed.
Bannatyne went into business in the Red River Colony and, in 1857 he was arrested by the HBC for illegal trading. He was released by recorder Francis Johnson in a decision agreed with by the HBC’s London Committee. By 1858 he was in partnership with Alexander Begg, running what quickly became the largest merchant firm in Red River. He devoted much of his attention to business and local philanthropy, helping to organize the Winnipeg General Hospital, for example. Although at first he became wealthy in the land boom of the early 1880s, he held on too long and lost virtually everything. He subsequently became involved in dubious dealings in Metis scrip. In 1861 he was appointed a Magistrate. In 1868 he became a member of the Council of Assiniboia. He sought to act as a conciliator during the troubled times in 1869-1870, serving as postmaster in the Provisional Government of Louis Riel in 1869, on the condition that it seek terms with Canada. Although the English-speaking community was critical of him, he was appointed Winnipeg’s first postmaster in 1871. The following year, he was appointed a member of the North-West Council. For several years beginning in 1873, he supported Riel’s political pretensions and helped seek the release from prison of Ambroise Lepine. Defeated in the 1874 federal general election, he was elected to represent Provencher in 1875 and retired from politics in 1878. He was a participant in the December 1878 ceremony to mark the opening of the first railway to Winnipeg. He helped found the St. Andrew’s Society in 1871 and an early lodge of Freemasons in Manitoba. He was the second President of the Manitoba Club, one of the founders of the Winnipeg Board of Trade (1873), and a founding member of the Manitoba Historical Society (1879). He played in Winnipeg’s first curling match in December 1876. He had at least ten children, the youngest of whom were William Mactavish Bannatyne, Robert Bannatyne, Annie Sarah Ellen Bannatyne, and Margaret Fraser Graham Bannatyne. He was a brother-in-law of William Mactavish. He died while on vacation at St. Paul, Minnesota on 18 May 1889 and was buried in the Kildonan Presbyterian Cemetery. He is commemorated by Bannatyne Avenue in Winnipeg. A microfilm copy of his ledger book (1867-1869) is held by the Archives of Manitoba. We thank Christine Buckley and Jill Paskewitz for providing additional information used here.